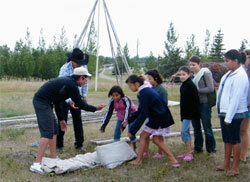 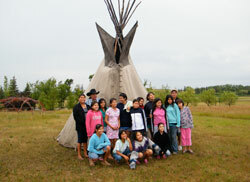 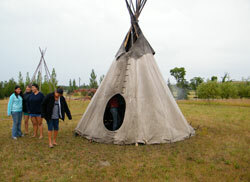 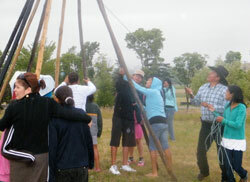 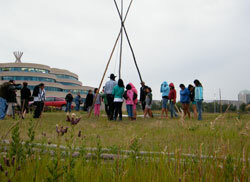 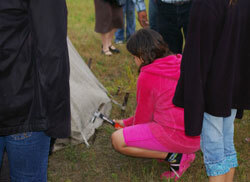 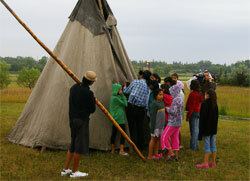 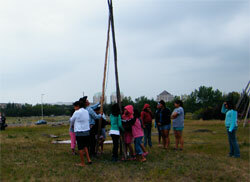 On a rainy evening in August 2009 Tim Haywahe from Carry the Kettle First Nation in southern Saskatchewan led a group of Little Sisters through a tipi raising on the grounds of the First Nations University of Canada. 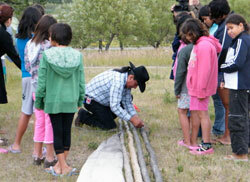 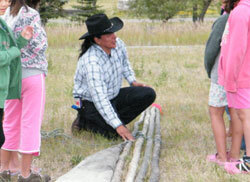 During this process he talked to the girls about his traditional Nakota way of raising the tipi. 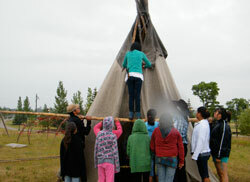 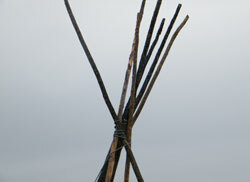 The photographs below are links to videos of the tipi raising.